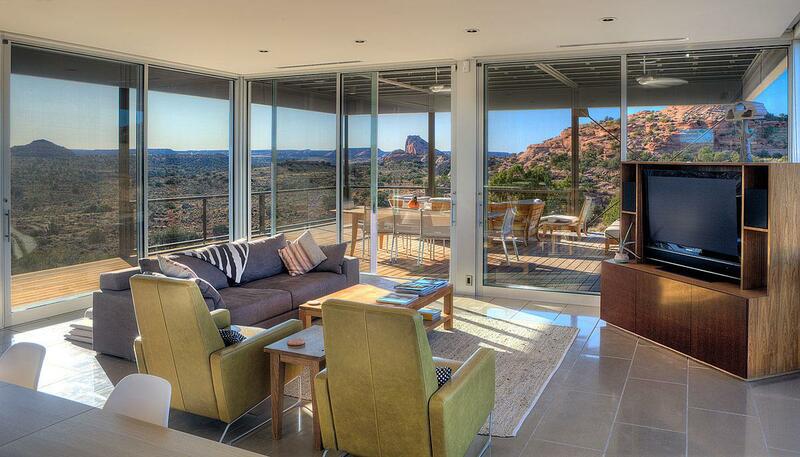 Designed and built by renowned architect/builder Marmol Radziner, Hidden Valley sits on an open, seventy-one acre site punctuated by red rock formations and cliffs in the arid desert of Moab and surrounded by BLM open space. The design of the home blends indoor and outdoor living spaces, with expansive decks, floor-to-ceiling windows, and an open plan. 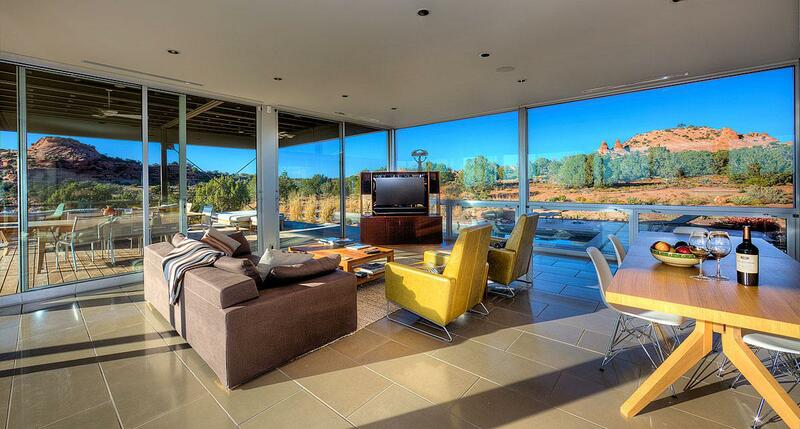 With three full sides of windows and sliding glass doors, the views in the great room move from the southern aspect overlooking the rock ledge and endless desert to the western red rock boulders, and finally to the northern views of snow-capped mountains in the distance. 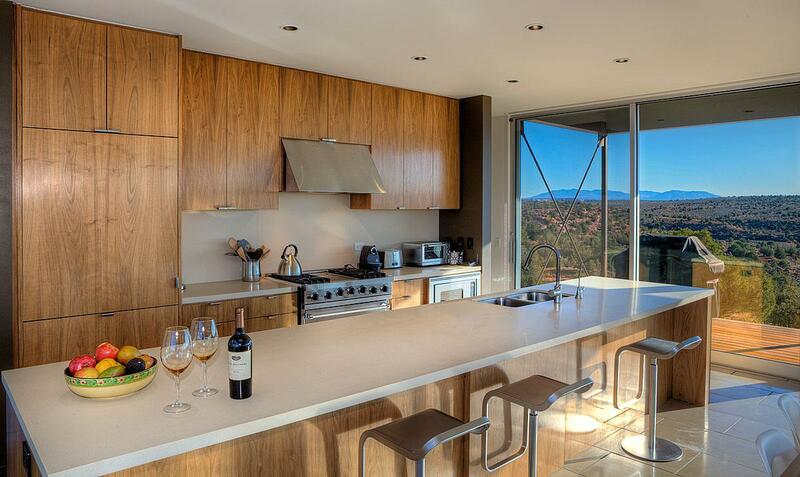 Listing provided courtesy of Lars Carlson of Telluride Sotheby's International Realty.